Creates a barrier against external aggressions (cold, humidity, wind, ...). 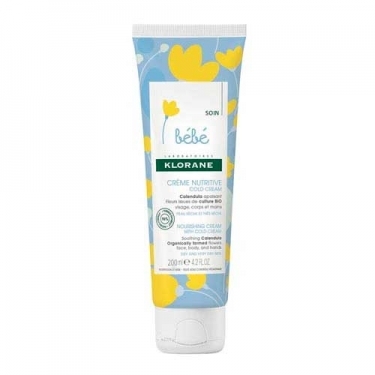 DESCRIPTION: Bébé Baume au Cold Cream from Klorane is a nutrient balm for face and body that effectively nurtures dry skin to a very dry, soothes and prevents redness related external aggressions, strengthening the natural defenses of the skin by the action of PhysioCalenduline. 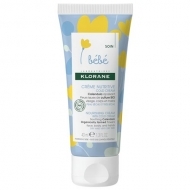 The skin is protected from minor irritations and dry skin. Hypoallergenic. No alcohol. No parabens. Apply to clean and dry skin and often renew your application.